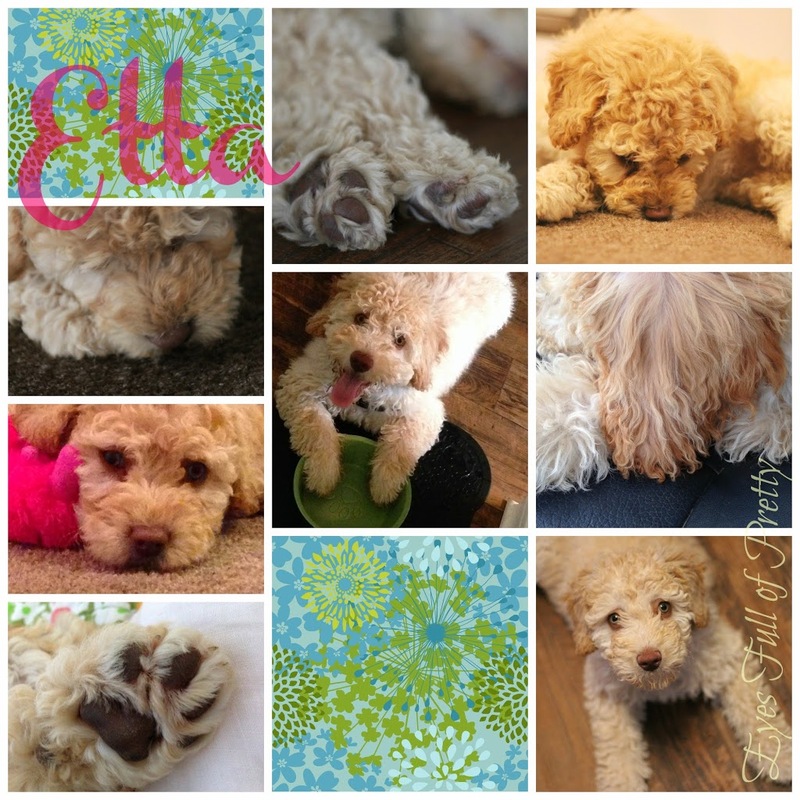 Meet my sweet Etta girl. She is 15 weeks old today. I looked high and low for a furry little companion and I finally came upon her and it was written in the stars that I was to give her her forever home. Etta is a Spanish Water Dog. She will get to be about 30-40 lbs and 19 inches at the shoulder. A good sized dog but not huge. She is also hypo-allergenic and does not shed. HOLLA!! She LOVES being in the water and and playing with other dogs. She has A LOT of energy and pounces and prances and keeps herself entertained. I can’t imagine my life without her. Such a joy to come home to her everyday. She is such a love bug.